The O’Fallon Creek-Little Beaver Creek drainage divide area discussed here is located in eastern Montana, USA and straddles the Montana-North Dakota state line. Although detailed topographic maps of the O’Fallon Creek-Little Beaver Creek drainage divide area have been available for more than fifty years detailed map evidence has not previously been used to interpret the region’s geomorphic history. The interpretation provided here is based entirely on topographic map evidence. The O’Fallon Creek-Little Beaver Creek drainage divide area is interpreted to have been eroded during immense southeast-oriented flood events, the first of which flowed on a topographic surface at least as high as the highest points in the present-day drainage divide area. Flood erosion ended when headward erosion of the northeast-oriented Yellowstone River valley captured all southeast-oriented flood flow. 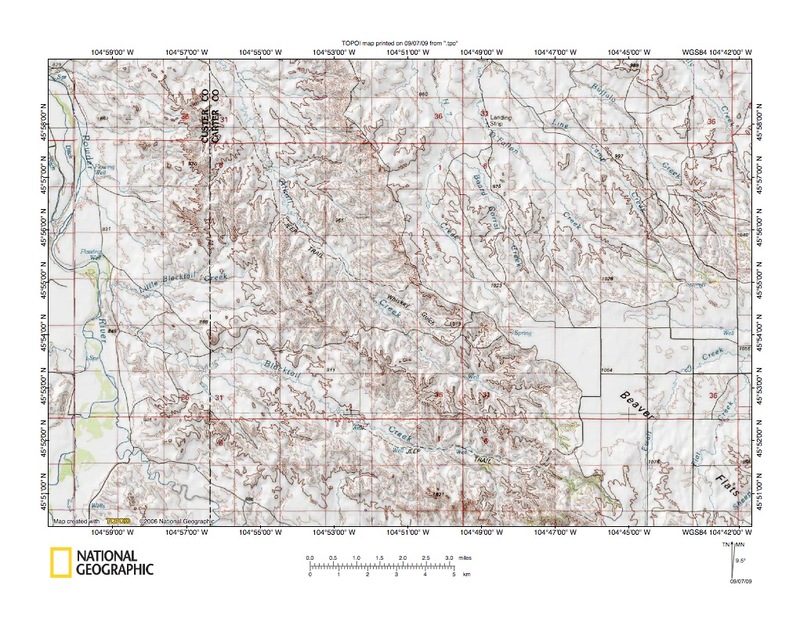 The purpose of this essay is to use topographic map interpretation methods to explore the eastern Montana O’Fallon Creek-Little Beaver Creek drainage divide area landform origins. Map interpretation methods can be used to unravel many geomorphic events leading up to formation of present-day drainage routes and development of other landform features. While each detailed topographic map feature provides detailed evidence to be explained, the solution must be consistent with explanations for adjacent area map evidence as well as solutions to big picture map evidence puzzles. I invite readers to improve upon my solutions or to propose alternate solutions that better explain evidence and are also consistent with adjacent map area and big picture evidence. Readers may do so either by making comments here or by writing and publishing their own essays and then by leaving a link to those essays in a comment here. This essay is also exploring a paradigm in which erosional landforms are interpreted as evidence left by immense glacial melt water floods. Implied in that interpretation is the immense floods were derived from a thick North American ice sheet that created a deep “hole” in the North American continent and also melted fast. The previously unexplored paradigm being tested in this and similar essay is a thick North American ice sheet, comparable in thickness to the present day Antarctic ice sheet, occupied approximately the North American region usually recognized to have been glaciated and through its weight and erosive actions created a “deep” North American “hole”, through its weight and deep erosion (and perhaps deposition) along major south-oriented melt water flow routes caused significant crustal warping and tectonic change, through its action of melting fast produced immense floods that flowed across the continent, and through its action of melting fast systematically opened up space in the ice sheet created “hole” so headward erosion of newly developed north-oriented drainage systems captured immense south-oriented melt water floods and diverted immense melt water floods north into space the ice sheet had once occupied. If this previously unexplored paradigm is correct the geographic region explored by this essay should contain evidence of immense floods that were captured by headward erosion of new valley systems so as to cause the floods to flow in a different direction. Ability of this previously unexplored paradigm to explain O’Fallon Creek-Little Beaver Creek drainage divide area landform evidence will be regarded as evidence supporting the “thick ice sheet that melted fast” paradigm. Figure 1: O’Fallon Creek-Little Beaver Creek drainage divide area location map (select and click on maps to enlarge). National Geographic Society map digitally presented using National Geographic Society TOPO software. Figure 1 provides a general location map for the eastern Montana O’Fallon Creek-Little Beaver Creek drainage divide area. O’Fallon Creek is a northwest, north, and northwest-oriented tributary to the northeast oriented Yellowstone River. O’Fallon Creek originates northwest of Ekalaka, Montana and joins the Yellowstone River near Fallon, Montana. Northwest-oriented O’Fallon Creek tributaries shown in figure 1 originate in the Willard and Baker, Montana areas. West of the O’Fallon Creek drainage basin is the north-northwest-oriented Powder River (south of Ekalaka area the Powder River is northeast-oriented-this will be important in the figure 10 discussion). Little Beaver Creek is a northeast-oriented tributary to the north-northeast and east-oriented Little Missouri River. Little Beaver Creek also originates near Ekalaka, Montana and it joins the Little Missouri River at Marmarth, North Dakota, which is east of Baker, Montana. South of the Little Beaver Creek drainage basin is the northeast-oriented Boxelder Creek drainage basin. Boxelder Creek flows to the Little Missouri River and a different essay describes Little Beaver Creek-Boxelder Creek drainage divide landform evidence (found under Little Missouri River on sidebar category list). North of the Yellowstone River-Little Beaver Creek drainage divide north end near Baker, Montana is north and northeast-oriented Beaver Creek (unnamed on figure 1), which flows to the Little Missouri River. Essays (found under Little Missouri River on sidebar list) describing the Beaver Creek drainage basin and the Yellowstone River-Beaver Creek drainage divide area provide useful background information that may aid in understanding Yellowstone River-Little Beaver Creek drainage divide evidence, especially near Baker, Montana. Northwest of the Little Beaver Creek drainage basin is the north- and northwest-oriented O’Fallon Creek drainage basin. Figure 2: Detailed O’Fallon Creek-Little Beaver Creek drainage divide area location map. United States Geological Survey map digitally presented using National Geographic Society TOPO software. Figure 2 provides a more detailed location map for the O’Fallon Creek-Little Beaver Creek drainage divide area. Little Beaver Creek flows in a northeast direction from near Ekalaka, Montana to join the Little Missouri River near Marmarth, North Dakota. O’Fallon Creek flows north and northwest from near Ekalaka, Montana to join the northeast-oriented Yellowstone River. Note how O’Fallon Creek headwaters and headwaters of northwest-oriented O’Fallon Creek tributaries drain north and northwest from the northeast-oriented Beaver Creek drainage basin northwest rim. Discussion of detailed maps below will present a case for an immense southeast-oriented flood crossing the entire region and being captured by headward erosion of a deep northeast-oriented Little Beaver Creek valley, which diverted the flood waters northeast to what was then probably an actively eroding north and east-oriented Little Missouri River valley. Southeast-oriented flood waters apparently removed the deep Little Beaver Creek valley northwest wall and then were captured by headward erosion of the deep Yellowstone River valley and flood water already between the newly eroded deep Yellowstone River valley and the remaining and much shallower northeast-oriented Little Beaver Creek valley were reversed to flow north and northwest to the newly eroded Yellowstone River valley, to erode the north and northwest-oriented O’Fallon Creek drainage basin, and to create the present day O’Fallon Creek-Little Beaver Creek drainage divide. West of the Little Beaver Creek headwaters and of the O’Fallon Creek drainage basin is the north-northwest-oriented Powder River drainage basin, with the Powder River flowing to the northeast-oriented Yellowstone River valley. Figure 3: O’Fallon Creek-Little Beaver Creek drainage divide area near Little Beaver Creek-Little Missouri River confluence. 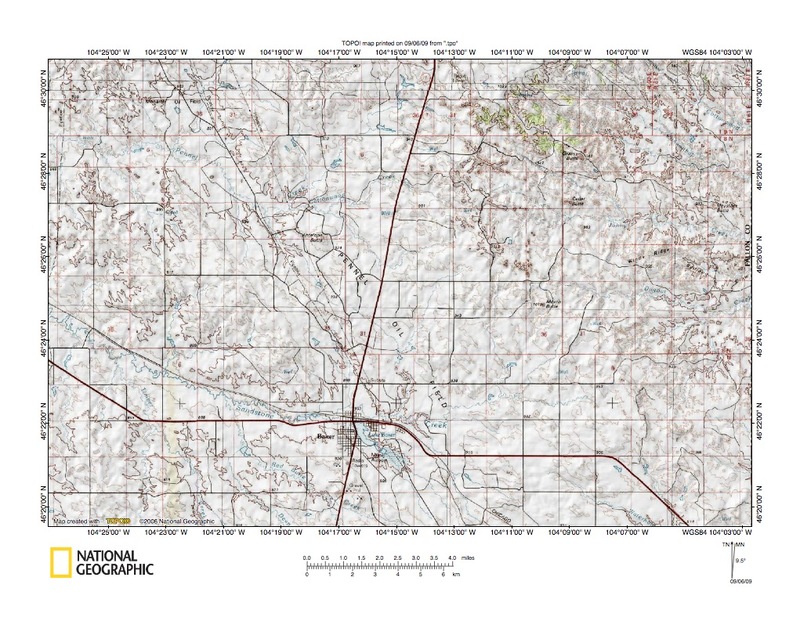 United States Geological Survey map digitally presented using National Geographic Society TOPO software. Figure 3 illustrates the north end of the O’Fallon Creek-Little Beaver Creek drainage divide. Little Beaver Creek flows northeast to join the north-oriented Little Missouri River at Marmarth, North Dakota (figure 3 west center). Northwest-oriented drainage along the figure 3 west edge flows to O’Fallon Creek tributaries and then to the northeast-oriented Yellowstone River. Note multiple southeast-oriented Little Beaver Creek tributaries flowing from the O’Fallon Creek-Little Beaver Creek drainage divide and the northwest-oriented Little Beaver Creek tributaries flowing from the Little Beaver Creek-Little Missouri River drainage divide. This northwest-southeast oriented drainage alignment is evidence the Little Beaver Creek valley eroded headward to capture multiple flow routes such as might be found in a southeast-oriented flood formed anastomosing channel complex. Events recorded by the figure 3 evidence begin with southeast-oriented flood flow moving across the entire figure 3 map area. Headward erosion of the north-oriented Little Missouri River valley next captured the southeast-oriented flood flow and diverted the flood waters to the north. Headward erosion of the northeast-oriented Little Beaver Creek valley next captured the southeast-oriented flood flow and beheaded flood flow routes to the newly eroded Little Missouri River valley (south of the Little Beaver Creek-Little Missouri River confluence area). Flood waters on the northwest ends of the beheaded flood flow reversed flow direction to flow northwest to the newly eroded Little Beaver Creek valley. Finally, headward erosion of the deep Yellowstone River valley (west of figure 3) captured southeast-oriented flood flow moving across the figure 3 map area. Flood waters located between the present day O’Fallon Creek-Little Beaver Creek drainage divide and the newly eroded Yellowstone River valley reversed flow direction to flow northwest and to erode the O’Fallon Creek drainage basin and to create the O’Fallon Creek-Little Beaver Creek drainage divide. Figure 4: South end of Beaver Creek drainage basin escarpment-surrounded upland. United States Geological Survey map digitally presented using National Geographic Society TOPO software. Figure 4 illustrates a region northwest of the figure 3 map area and is north of the north end of the O’Fallon Creek-Little Beaver Creek drainage divide, but illustrates evidence important to understanding the O’Fallon Creek-Little Beaver Creek drainage divide. The escarpment-surrounded upland in the figure 4 northeast quadrant is the south end of the north-oriented Beaver Creek drainage basin. Beaver Creek flows north and northeast to the Little Missouri River and from the figure 4 location to the Beaver Creek-Little Missouri River confluence the Beaver Creek drainage basin is located between the Yellowstone River valley and the Little Missouri River valley. Northwest-oriented drainage flowing from the west-facing escarpment wall flows to northwest-oriented Cabin Creek and the northeast-oriented Yellowstone River. Northwest-oriented Pennel Creek (figure 4 southwest quadrant) flows to northwest-oriented O’Fallon Creek and the Yellowstone River. Southeast-oriented drainage in the figure 4 southeast quadrant flows to northeast-oriented Little Missouri River tributaries and then to the north-oriented Little Missouri River. The sequence of events recorded by figure 4 begins with southeast-oriented flood water flowing across the entire figure 4 map area on a topographic surface at least as high as the highest figure 4 elevations today. Headward erosion of the north-oriented the deep Little Missouri River valley next captured the southeast-oriented flood water and diverted the flood water north. Headward erosion of the Little Missouri River valley was closely followed by headward erosion of the somewhat shallower Beaver Creek valley (or drainage basin), which beheaded the southeast-oriented flood flow routes to the newly eroded and deeper Little Missouri River valley. The figure 4 escarpment-surrounded upland was created when headward erosion of the deep Little Missouri River valley progressed far enough south from the head of the actively eroding Beaver Creek valley that a southeast-oriented flood route using the present day northwest-oriented Cabin Creek alignment eroded a deep southeast-oriented valley northwest along the west side of the north-oriented Beaver Creek drainage basin. This southeast-oriented valley was carrying southeast-oriented flood water that headward erosion of the deep north-oriented Little Missouri River valley captured. Being deeper than other flood flow routes flood waters became concentrated on this southeast-oriented route. However, headward erosion of the deeper northeast-oriented Yellowstone River valley beheaded the southeast-oriented flow and diverted the flood water northeast, and in the process caused a reversal of flood flow that eroded the present-day Cabin Creek and O’Fallon Creek drainage basins and also that created the present day Yellowstone River-Little Missouri River drainage divide. Figure 5: O’Fallon Creek-Little Beaver Creek drainage divide at Baker, Montana. United States Geological Survey map digitally presented using National Geographic Society TOPO software. Figure 5 illustrates the region immediately south of the figure 4 map area and northwest of the figure 3 map area and provides overlap with both figures. Southeast-oriented drainage in the figure 5 southeast corner flows to northeast-oriented Little Beaver Creek. 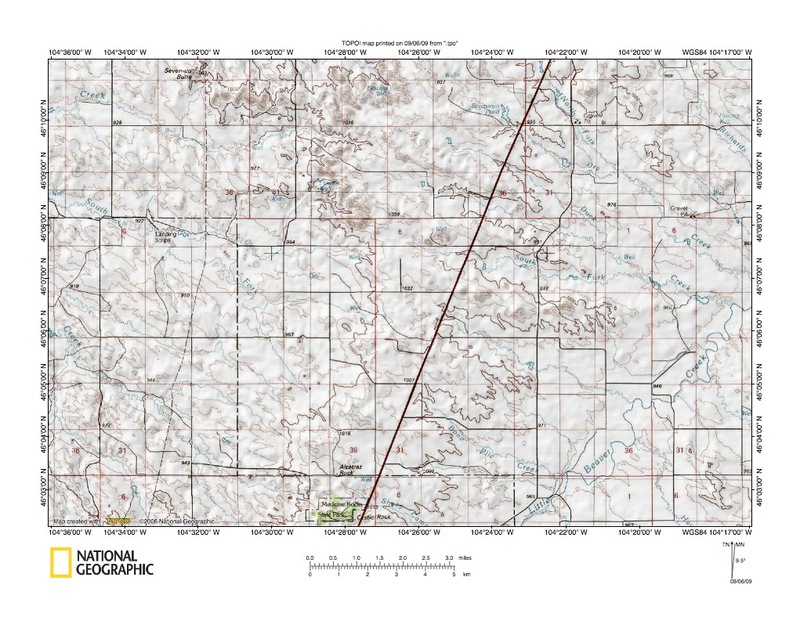 Northwest-oriented Sandstone Creek and northwest-oriented Pennel Creek join west of figure 5 and flow to northwest-oriented O’Fallon Creek and then to the northeast-oriented Yellowstone River. Southeast-oriented drainage flowing off the southeast-facing escarpment (figure 5 northeast quadrant) flows to northeast-oriented Cannonball Creek (figure 5 east edge center) and then to the north-oriented Little Missouri River. The previously described Beaver Creek escarpment-surrounded upland is what remains of the northeast wall of the southeast-oriented flood eroded valley carved by southeast-oriented flood waters captured by deep north-oriented Little Missouri River valley headward erosion. Prior to being captured by the north-oriented Little Missouri River valley this southeast-oriented flood water route was eroding the Grand River drainage basin (see Little Missouri River-North Fork Grand River drainage divide and Little Missouri River-South Fork Grand River drainage divide essays). Detailed maps below will illustrate no remnants of the southwest valley wall remain northwest of the present day northeast-oriented Beaver Creek drainage basin. In other words southeast-oriented flood flow to the what was at that time a deep northeast-oriented Little Beaver Creek valley eroded into a topographic surface at least as high as the Beaver Creek upland surface completely eroded the northeast wall of the northeast-oriented Little Beaver Creek valley almost as fast as what was then the deep Little Beaver Creek valley was being eroded. The loss of that northeast valley wall played a significant role in the subsequent formation of the O’Fallon Creek-Little Beaver Creek drainage divide when the much deeper northeast-oriented Yellowstone River eroded headward to capture the southeast-oriented flood flow that was moving to the newly formed northeast-oriented Little Beaver Creek valley. Figure 6: O’Fallon Creek-Little Beaver Creek drainage divide area near Willard. 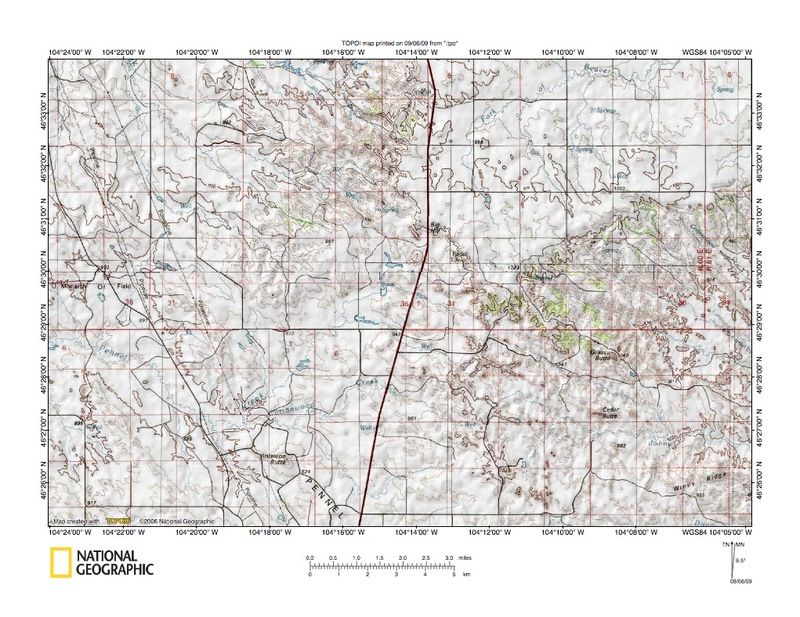 United States Geological Survey map digitally presented using National Geographic Society TOPO software. Figure 6 illustrates the O’Fallon Creek-Little Beaver Creek drainage divide region a short distance southwest of the figure 5 map area (there is no overlap). Southeast-oriented drainage generally southeast of northeast-oriented highway flows to northeast-oriented Little Beaver Creek. These barbed tributaries provide evidence the northeast-oriented Little Beaver Creek valley eroded southwest to capture multiple southeast-oriented flow routes, such as might be expected in a southeast-oriented anastomosing channel complex. Northwest-oriented drainage routes are headwaters of northwest-oriented O’Fallon Creek tributaries. These tributaries originated when the deep northeast-oriented Yellowstone River valley eroded headward or southwest to capture the southeast-oriented flood flow moving to the northeast-oriented Little Beaver Creek valley and the north oriented Little Missouri River valley. When the southeast-oriented flood flow routes were beheaded, flood waters already between the newly eroded deep Yellowstone River valley and the shallower Little Beaver Creek valley reversed flow direction to flow northwest into the deeper Yellowstone River valley and to create the present day O’Fallon Creek-Little Beaver Creek drainage divide. Southeast-oriented flood waters from yet to be beheaded (by Yellowstone River valley headward erosion) were still being carried northeast along the Little Beaver Creek valley and some of that water probably spilled over the low drainage divide and aided the reversed flood flow in eroding the north and northwest-oriented O’Fallon Creek drainage basin. Note, unlike further north, there is no indication the Little Missouri River-Little Beaver Creek valley had been eroded into a much higher level topographic surface. All evidence of that much higher level topographic surface in the figure 6 map area has been removed by flood erosion. Figure 7: O’Fallon Creek-Little Beaver Creek drainage divide northeast of Medicine Rocks. 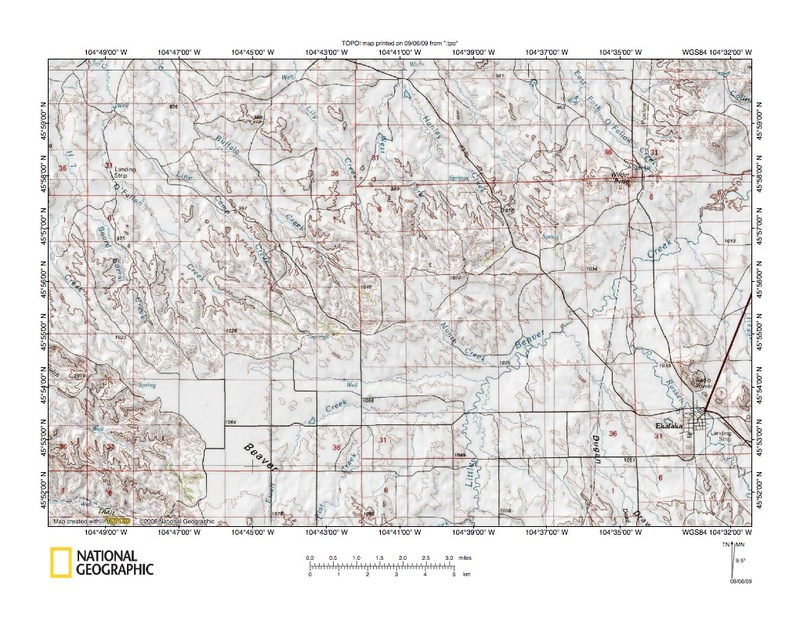 United States Geological Survey map digitally presented using National Geographic Society TOPO software. Figure 7 illustrates the O’Fallon Creek-Little Beaver Creek drainage divide region immediately southwest of the figure 6 map area and provides a thin strip of overlap. Again southeast-oriented drainage routes flow to the northeast-oriented Little Beaver Creek, which flows across the figure 7 southeast corner. These southeast-oriented Little Beaver Creek tributaries are barbed tributaries and indicate the Little Beaver Creek valley eroded headward to capture multiple southeast-oriented flow routes, such as might be found in a flood formed southeast-oriented anastomosing channel complex. Again the northwest and west oriented drainage flows to north and northwest-oriented O’Fallon Creek and then to the northeast-oriented Yellowstone River. These tributaries were formed as reversals of flood waters already located between the newly eroded Yellowstone River valley and the Beaver Creek valley when the northeast-oriented Yellowstone River valley eroded headward to behead southeast-oriented flood flow routes moving to the figure map area. 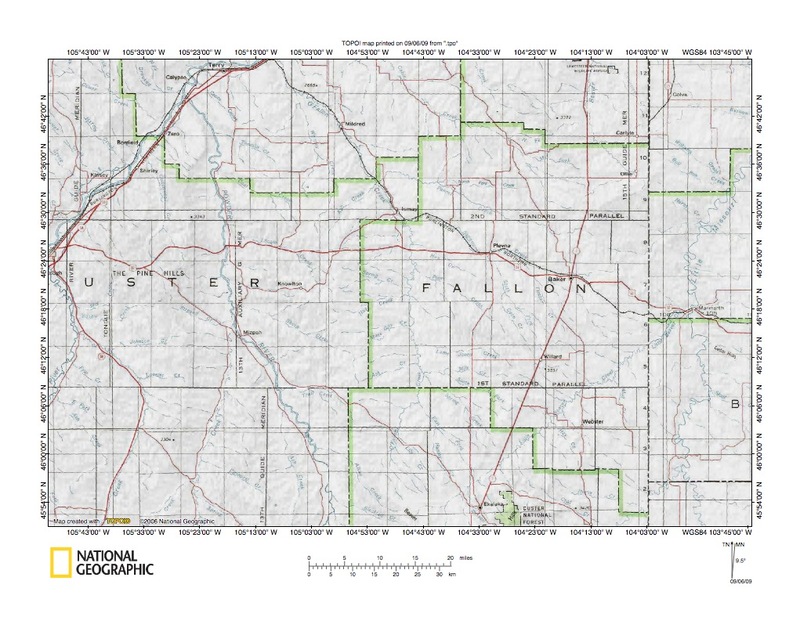 The reversals of flood flow created the present day O’Fallon Creek-Little Beaver Creek drainage divide and eroded the north and northwest-oriented O’Fallon Creek drainage basin. Reversed flood flow was probably aided by spillage of flood waters moving northeast along the northeast-oriented Little Beaver Creek valley route. The Little Beaver Creek valley had captured such flood waters further to the southwest from yet to be beheaded (by the actively eroding Yellowstone River valley) southeast-oriented flood flow routes. Again, note there is no evidence in figure 7 of the high level topographic surface the Little Beaver Creek valley was originally eroded into. Flood water erosion has removed almost all evidence of that much higher level topographic surface. Figure 8: O’Fallon Creek-Little Beaver Creek drainage divide southwest of Medicine Rocks. 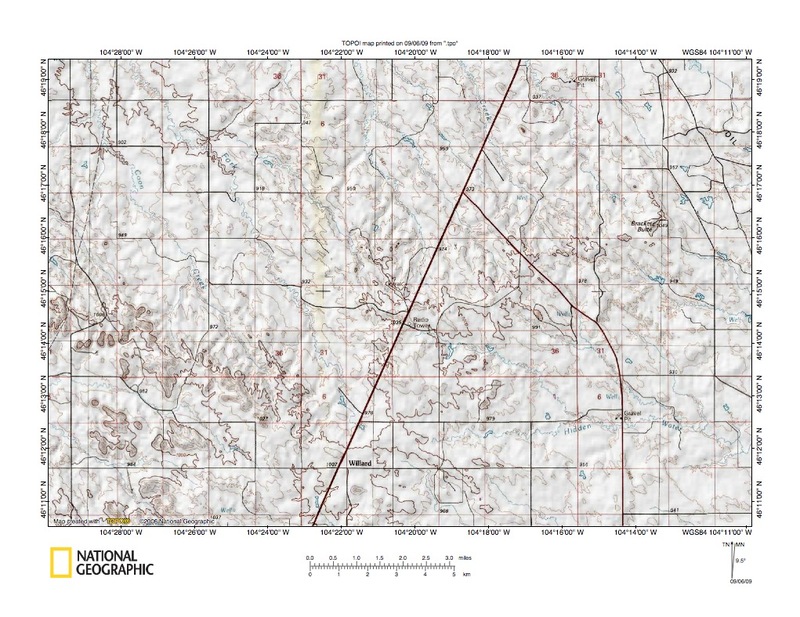 United States Geological Survey map digitally presented using National Geographic Society TOPO software. Figure 8 illustrates the O’Fallon Creek-Little Beaver Creek drainage divide region southwest of the figure 7 map area and provides overlap. Note hills southeast of the northeast oriented Little Beaver Creek. These hills provide evidence of the higher level topographic surface that existed at the time the Little Beaver Creek eroded southwest to capture southeast oriented flood water flowing across that surface. Flood water erosion removed all evidence of that higher level topographic surface from other figure 8 map areas, such as the deeply eroded figure 8 northwest quadrant. Again, short southeast oriented barbed tributaries provide evidence the northeast-oriented Little Beaver Creek valley captured southeast-oriented flood flow that was moving along several different flood flow routes. Northwest oriented Little Beaver Creek tributaries provide evidence flood water on the northwest ends of southeast-oriented flood flow routes beheaded by headward erosion of what was then the deep northeast-oriented Little Beaver Creek valley reversed flow direction to erode northwest -oriented tributary valleys. Northwest and north-oriented O’Fallon Creek drainage routes were originated when the deep Yellowstone River valley eroded headward north and west of the figure 8 map area and beheaded the southeast-oriented flood flow routes carrying flood waters to the figure 8 map area. Deep erosion of the figure 8 O’Fallon Creek drainage basin was almost certainly aided by flood waters carried northeast along the northeast-oriented Little Beaver Creek valley route that were captured from yet to be beheaded (by Yellowstone River valley headward erosion) southeast-oriented flood flow routes further to the southwest. Figure 9: O’Fallon Creek-Little Beaver Creek drainage divide north of Ekalaka. United States Geological Survey map digitally presented using National Geographic Society TOPO software. Figure 9 illustrates the O’Fallon Creek-Little Beaver Creek drainage divide region southwest of the figure 8 map area and provides significant overlap. Figure 9 illustrates the southwest end of the O’Fallon Creek-Little Beaver drainage divide. 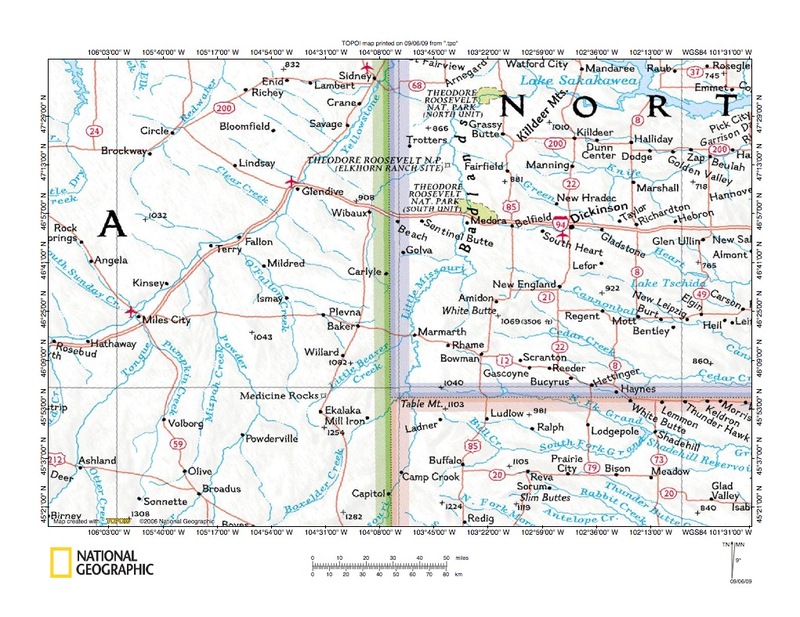 In the figure 9 southwest corner is drainage to the deep north-northwest oriented Powder River valley, which drains to the northeast-oriented Yellowstone River valley. This essay’s journey southwest along the O’Fallon Creek-Little Beaver Creek drainage divide has now arrived at another flood eroded escarpment-surrounded upland similar to the escarpment-surrounded upland seen in figure 4. The northeast-oriented Little Beaver Creek valley was eroded headward into a high level topographic surface at least as high as the Beaver Creek upland surface observed in figure 4 (and the hills southeast of Little Beaver Creek observed in figure 8). Yet southeast-oriented flood flow into the newly eroded northeast-oriented Little Beaver Creek valley and reversal of flood flow when the deep Yellowstone River valley was eroded to the north and west of figure 9 removed all evidence of that high level topographic surface and eroded the north- and northwest-oriented O’Fallon Creek drainage basin. The final event recorded by the figure 9 evidence is reversal of southeast-oriented flood flow on what is today the north-northwest-oriented Powder River route. That reversal aided by capture of significant flood flow from yet to be beheaded (by Yellowstone River valley headward erosion) southeast-oriented flood flow routes eroded the deep north-northwest-oriented Powder River valley, which truncated the northeast-oriented Little Beaver Creek drainage basin and created the present day escarpment-surrounded Little Beaver Flats upland surface. Figure 10: O’Fallon Creek-Little Beaver Creek-Powder River drainage divide at Beaver Flats. 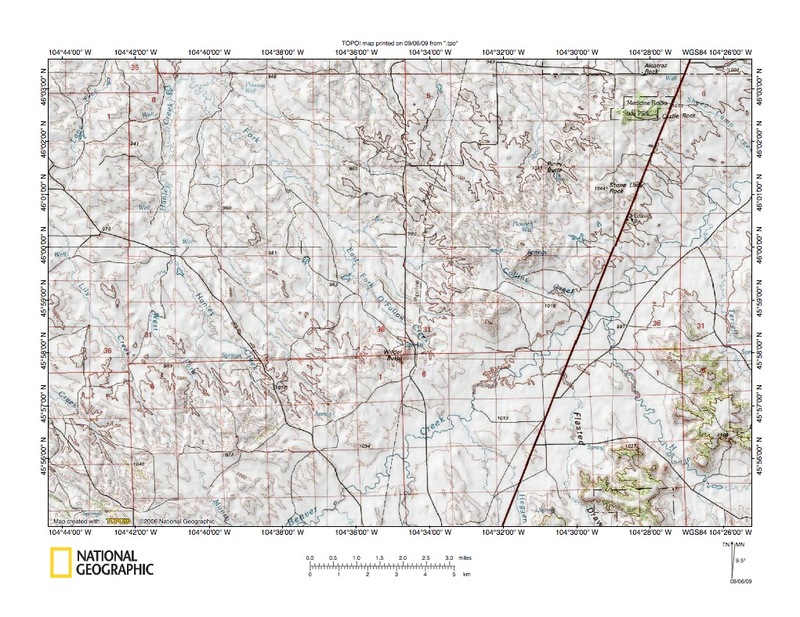 United States Geological Survey map digitally presented using National Geographic Society TOPO software. 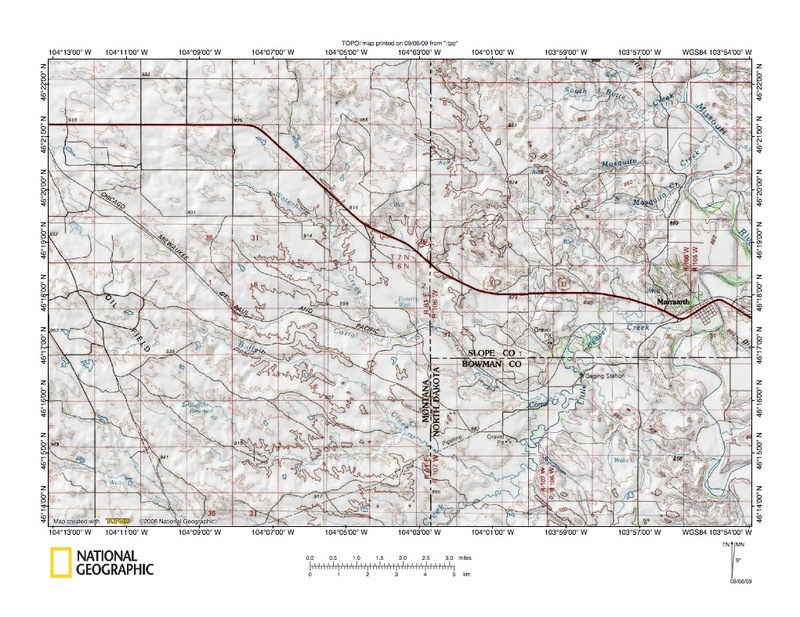 Figure 10 illustrates the O’Fallon Creek-Little Beaver Creek-Powder River drainage divide west of Ekalaka and includes a significant overlap area with figure 9. Figure 10 better illustrates how the deep Powder River valley has truncated the northeast-oriented Little Beaver Creek drainage basin and the O’Fallon Creek-Little Beaver Creek drainage divide. The figure 10 map area is not large enough to show it, but the Powder River at this location is changing from being a northeast-oriented river to being a north-northwest-oriented river (refer to figure 1 to see this large-scale Powder River elbow of capture). Significant southeast-oriented flood flow that moved northeast along the newly eroded Little Beaver Creek valley moved southeast along what is now the north-northwest-oriented Powder River alignment. Headward erosion of the deep Yellowstone River valley first beheaded and reversed southeast-oriented flood flow routes moving across the present day O’Fallon Creek drainage basin to reach the northeast-oriented Little Beaver Creek valley. Those southeast-oriented flood flow routes were probably responsible for removing all evidence of the Little Beaver Creek northeast valley wall. When those southeast-oriented flood flow routes were reversed by Yellowstone River valley headward erosion flood waters moving southeast along the present day Powder River alignment continued to flow into the Little Beaver Creek valley and some of that water spilled north and northwest to help erode the O’Fallon Creek drainage basin. All rapid erosion of the O’Fallon Creek and Little Beaver Creek drainage basin ceased when the deep Yellowstone River valley beheaded and reversed flood flow on the Powder River alignment, which caused the deep Powder River valley to erode headward in a south-southeast-oriented direction along the former flood flow route to the Little Beaver Creek valley and then southwest to capture yet to be beheaded (by Yellowstone River valley headward erosion) additional southeast-oriented flood flow.